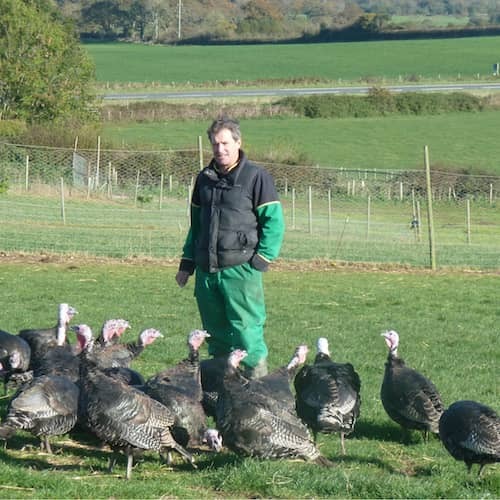 The Chilcott family run a mixed farm in and around Owermoigne near Dorchester in Dorset, we grow crops rear cattle and specialise in producing top quality free range turkeys for Christmas. We sell direct to the public at the farm gate or through quality butchers within Dorset. All our turkeys are Free Ranged and allowed to roam freely in pastures by day from 8 weeks of age. Our Turkeys are grown to full maturity and to the highest welfare standards. We use cereal-based feeds with no growth promoting additives. We use traditional production methods, the birds are plucked, finished by hand and hung whole bodied in a cold store for at least a week, this traditional practice allows the meat to tenderize and develops the flavour. We also hire out refrigerated trailers which offer a cost-effective solution for short-term chilled storage. Ideal for weddings, parties, or emergency cover.